A key objective of Project 353’s Community Learning Programme is the opportunity for group participants to work towards a piece of accredited learning, documenting what they have achieved through their involvement with a 353 community project. 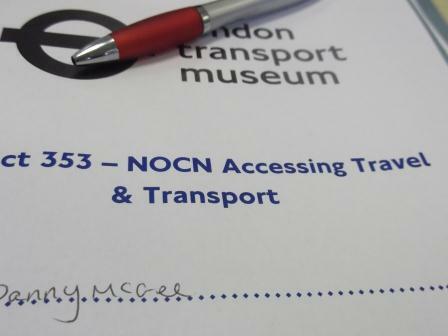 We have supported our volunteers to work towards one of three types of accreditation: The National Open College Network (NOCN) Certificate in Accessing Travel & Transport, The National Open College Network (NOCN) Certificate in Discovering Local History or the Arts Award at Bronze Level. 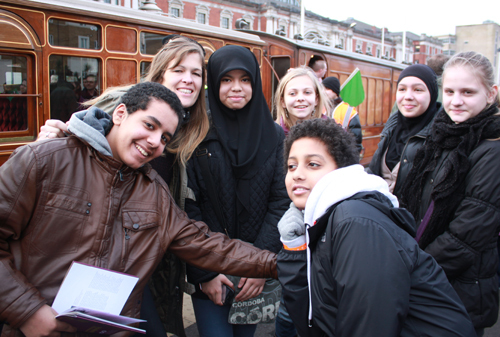 The NOCN Certificate in Discovering Local History supports learners to discover how local or national events in history – such as the opening of the London Underground 150 years ago – impacted the communities in their local area and to share this knowledge with others. The Arts Award at Bronze Level is for learners aged 16-25 and supports them to develop a creative skill, share this skill with others and develop confidence in responding to artistic or cultural exhibitions and communicating about cultural, heritage or artistic pieces. Project 353’s mix of artistic, cultural and historical learning means learners can choose as a group which option to take and the project is moulded to suit their aspirations. While some learners choose not to undertake accreditation, those that do have found it helps them to articulate what they have achieved to those around them such as teachers, social workers or future employers. On top of this, learners have expressed a real sense of pride, confidence and ownership in the programme by having their involvement formally recognised.